Textbook of Consultation Liaison Psychiatry, 2nd Edition. The Physician's Guide to Depression and Bipolar Disorders. Medical Management of the Surgical Patient: a Textbook of the Perioperative Patient. 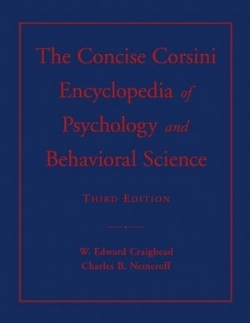 The Concise Corsini Encyclopedia of Psychology and Behavioral Science, 2nd Edition. Kaplan & Sadock’s Comprehensive Textbook of Psychiatry, 10th Edition. The American Psychiatric Association Publishing Textbook of Psychopharmacology.